Irritable bowel syndrome can have an enormous impact on your quality of life but you do have options to help you alleviate common symptoms. 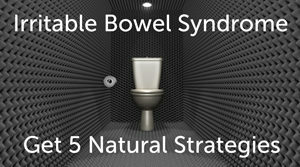 Unraveling the root causes of IBS is challenging, as they may be different for everyone. So natural approaches to help you find relief need to integrate strategies for improving digestion, soothing the nervous system and supporting a beneficial community of intestinal bacteria. Try these five strategies one by one so that you can pinpoint which ones are beneficial to maintain long-term. Peppermint is a carminative herb, known to soothe the smooth muscle contractions of the digestive tract. As such, it helps to manage the wrenching gut pain of IBS. Choosing an enteric-coated capsule helps to minimize peppermint’s potential to cause reflux. Take three times per day, or as directed on label, to help provide relief and always talk to your pharmacist, physician or dietitian first to ensure that the supplement will not react with current medications or another health condition. Because of the deep connection between the brain and the nervous system within the gut gut, it is understood that psychological stress can greatly exacerbate symptoms in IBS. Deep breathing is simple and can be done at any time of day to help you calm down but I particularly recommend it right before mealtimes. My favourite technique is called square breathing: sitting comfortably, inhale slowly for four counts. Hold that inhale for four counts, then exhale for four counts and hold for four counts. You can close your eyes and visualize drawing a square as you breathe. Try five cycles of square breathing anytime you need to relax and centre yourself. Taking psyllium fibre may help ease symptoms for some. Psyllium is a soluble fibre, which forms a gel-like consistency in the digestive tract and helps to improve intestinal transit over weeks. It is very important to start slowly with psyllium, as the body needs time to adjust to increased fibre intake. Try one teaspoon of psyllium husk added to your meal – such as yogurt, cereal, salad dressing or soups – and drink plenty of water to help the fibre do its job. If it is tolerated, slowly work your way up to one tablespoon per day. Do not take other sources of fibre, as they may increase symptoms and do not have strong evidence to support their use. Probiotics are beneficial bacteria that help to support a healthy intestinal flora. Having a strong, diverse flora improves digestion, in addition to supporting a healthy nervous system and immune system in the gut. Certain probiotics may help reduce gas and bloating and improve urgency in IBS. Look for a clinical-strength probiotic and talk to your pharmacist, physician or dietitian first to ensure that the supplement will not react with current medications or another health condition. If you’re looking for further help with digestive issues such as gas, bloating, troublesome elimination and irritable bowel syndrome–pick up your copy of Desiree’s new eBook Banish the Bloat.